I thought this photo was appropriate for right now, as I feel like I've been weaving webs lately. O.K., that probably didn't make sense. Let me explain. I feel like I've been weaving webs of goals and ideas. Just like in the photo, my webs are not perfect. There are gaps and holes and imperfections, but I'm weaving. It's a real mental fat burner. I'm not an expert weaver, so there may even be times wherein I just destroy the web and start over. ;-) You'll see. To join in this fun meme, which is all about taking a closer look, click on the badge. Lovely photo (and I don't particularly like spiders) and I'll be looking forward to seeing those ice photos. But be careful when it's slippery! Glorious fun, that web with the pearls hanging off it. 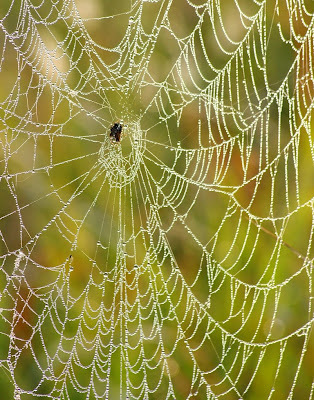 What a beautiful shot you skilled web-weaver and photographer you! I completely forgot that tomorrow is a holiday for some people as it sure isn't for me! Enjoy your long weekend! Beautiful with the "pearls" dripping! Hope you can sit and enjoy the three day weekend...at least what's left of it. SO pretty...nature at its finest! 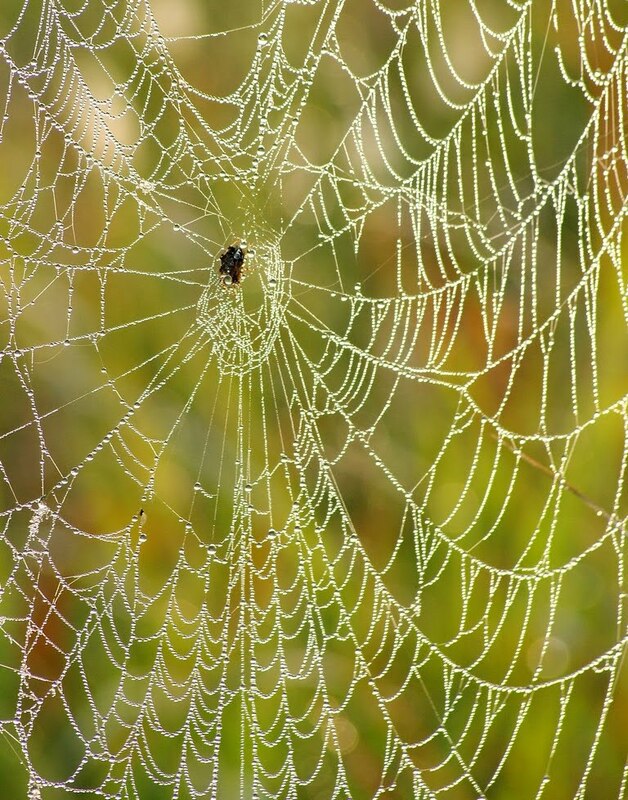 Spider webs can be so gorgeous and you did a great job capturing this one! 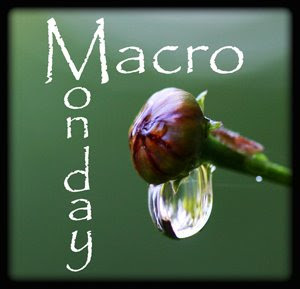 I love all the water droplets! The Need For Change... But What?